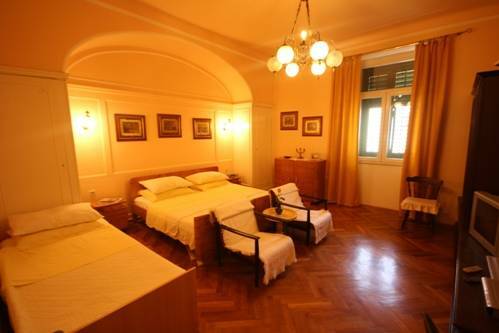 Fantastic value for money and in a really great location for travelers, right on the edge of the main promenade 'Riva'. Our apartment is equipped with AC and WI-FI which is great for onward travel plans and staying in touch with your family and friends. We have a 3*** apartment in the city center of ‘Split!’ just next to the hotel Bellevue; from the big terrace you can see the ocean and the whole city! 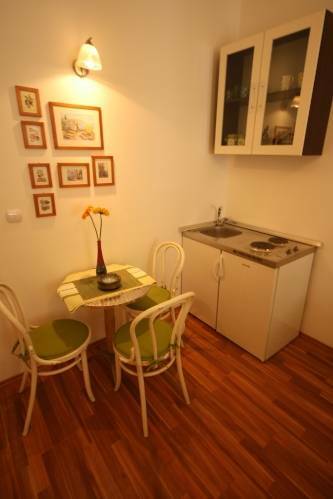 A car is not necessary due to our excellent location in the city center! Our Apartment is equipped with A/C and Wireless internet. 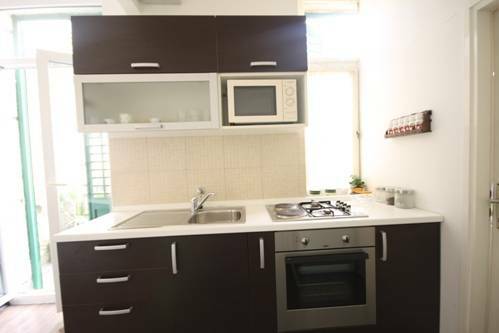 Apartment consists of a kitchen, balcony, two private en suite bathrooms with shower, and sleeping room, with one double king size bed and a single bed for one more extra person. 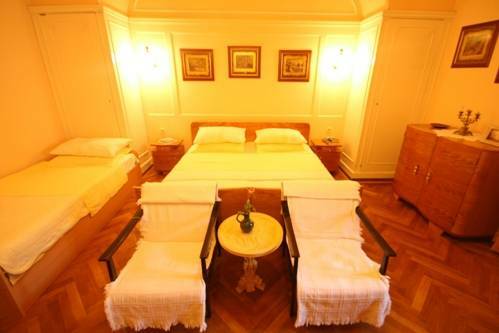 We can add an additional bed to the room in case the room is booked by three people not including a couple. Facilities are: fully equipped kitchen (fridge, microwave, coffee maker, etc...), clothes washer, air-condition, cable TV, DVD player and wireless internet. 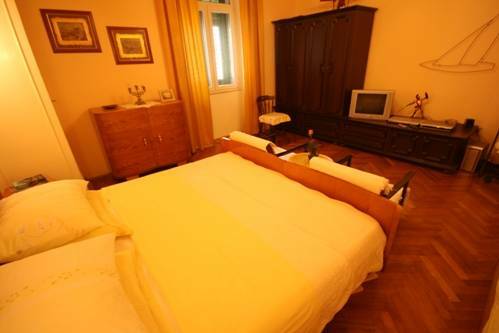 Apartment has a romantic atmosphere, and antique furniture . House is also equipped with a barbecue on the ground floor and a big terrace on the top of the building from where you can see the whole city. Near the guest house is a hill on which you can go hiking, or rent a bike/scooter. ACY marine is 7 minutes walk from the house; there you can rent a boat or jet sky. Restaurants, coffee shops and supplies shops are just next to the house. A car is not needed if you are staying in this apartment, because you are in the centre of the town, just next to the beautiful Roman palace! The best beaches are around 10 minutes walk. From Split you can easily take a rafting tour on the river of Cetina, you can go hiking on the nearby mountains or visit the falls of Krka or Plitvice lakes! The first inhabitant of Split was the Roman emperor Diocletian who started to build his palace in this friendly bay around 293 AD. After his abdication he withdrew to this luxurious palace of about 30 thousand square meters. The following turbulent centuries made the palace into a town first populated by the citizens of the nearby Salona, fleeing before Avars and Slavs. The town overgrew the walls of the palace and its authorities kept changing - from Croatian kings in 10th century AD, Hungarian and Venetian administration, to French rulers and Austro-Hungarian monarchy. Such past left its traces combined in the town everyday life. The city, however, went on remaining the centre of this part of the coast till our day. This mixture of historic layers brought some clumsiness and some things done too fast but today all that makes a part of its originality. The big city today lives by the silent beats of history, lively spirit of the young and its particular Mediterranean charm. Property is situated in the centre of the city, it is a very tourist kind of a city, and has a low percent of crime! No payment prior to arrival! Directions: How to come to Split? The city at the foot of Marjan can be reached by The Adriatic Coastal Road, winding by the sea or by hinterland roads connected to Split. It will take you 5 hours to get to Zagreb and 4 hours to get to Dubrovnik in your car. You can also reach Split if you get on a coast ferry liner from Rijeka or Dubrovnik, from all central Dalmatian islands. 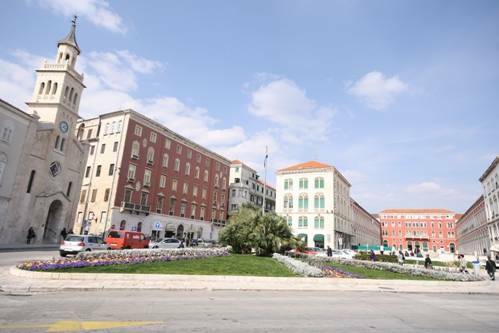 There are excellent fast and regular ferry lines from Ancona and Pescara, Italy. From the Airport Split flights connect the city with Zagreb several times a day, as well as with European capitals. There are also trains from Split to the north of the country and further on to Europe. You can transport your car by train, as well. If you come by bus, ferry or a train it should take you around 7 minutes walk to the apartment, it is at the end of the famous street filled with coffe shops called Riva. And if you are comming by plane, the taxi from the airport can get you all the way to the doors of the apartment! But the best way is for you to contact me by phone upon your arrival!